Be a part of the future. Help us reach our goal! We are working toward reaching our goal of $3,050,000 and every donation counts, large or small. If you can help, please click the link below to donate to the capital campaign to establish the Mattie Rhodes Cultural Center. The Campaign to EXPLORE. LEARN. CREATE. BELONG. 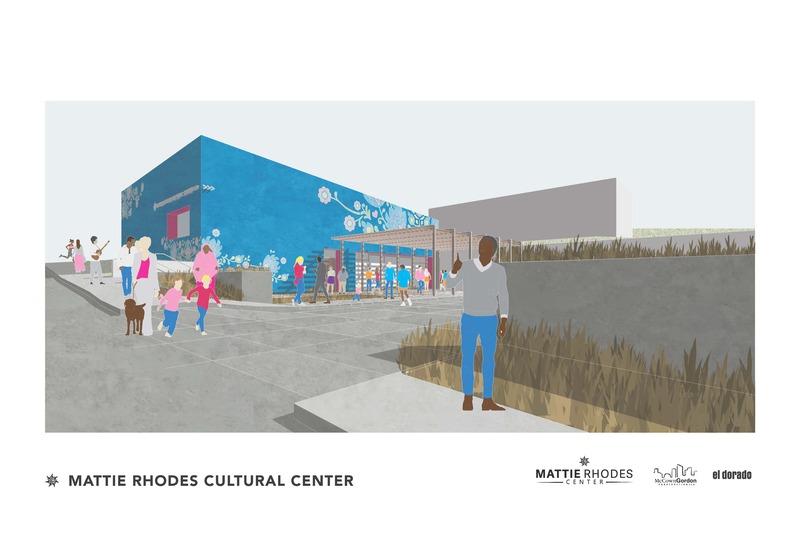 The campaign to establish the Mattie Rhodes Cultural Center will provide a place for children and adults to EXPLORE fearlessly; LEARN visually and kinesthetically; enrich life through what they CREATE; all in a place to feel safe, celebrate and BELONG. Creative and safe outlet for area children during out-of-school hours providing access to a number of artistic media including ceramics and digital media. Early learning opportunities that are modeled after the Rocketship Spark Academy in San Jose, CA, convenient and affordable with an emphasis on individualized and project-based learning. A place for healing, providing art therapy for Mattie Rhodes Center participants receiving behavioral health services and support for youth participating in art/youth development programming. Promote the contributions of the Latino community in the arts, history and national culture. Comfortable neighborhood gathering place featuring a coffee bar and a gift shop highlighting work from local artisans. 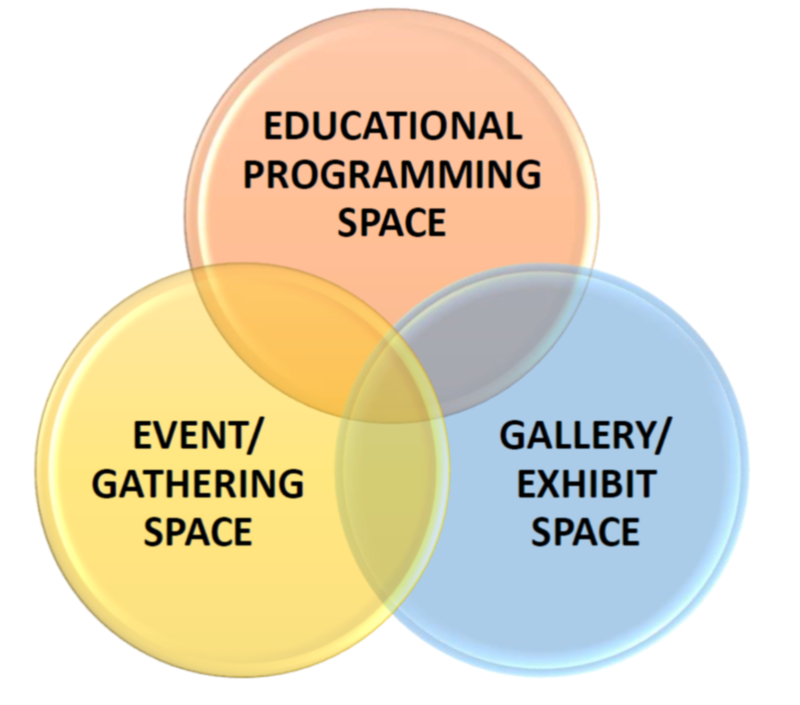 Workforce development opportunities and other educational experiences such as workshops facilitated by visiting artists, poetry readings and performances. Event rental space for corporate meetings, weddings, parties etc. Permanent home for the 1,500-piece Hand-in- Hand Folk Art Collection, the largest collection of its kind in the region. attention on scholarly research, public and educational programs, web-based content and virtual platforms. Support for artists in the form of professional development opportunities provided through a combination of Ted Talks and peer mentoring. The Mattie Rhodes Art Center is not just an after-school program. It’s a safe haven. A place to learn. A place to socialize and be yourself. Every day we hear about the kids whose lives we change: kids living in public housing, with single moms working multiple jobs trying to make a better life for their families. For these kids, instead of going home to an empty house every day, Mattie Rhodes Center is there with agency staff who genuinely care about their well-being. Parents who worry about the safety of their children after school know that Mattie Rhodes is an environment where they’ll be engaged and watched over. Becoming a member of Mattie Rhodes Center helps kids learn to be confident in themselves, get along with others and explore without any fear of judgement. At Mattie Rhodes, we use art as a way to prepare kids for the future. Being creative is a valuable skill that can be utilized in everyday situations. By starting their arts education off early with itty-bitty art camp and after school arts, they develop their creativity that carries on with them as they move into their teenage and adult years. In developing their skills early and remaining engaged with them as they grow, Mattie Rhodes impacts the kids throughout their lives. For 124 years, Mattie Rhodes Center has served the children and families of Kansas City, reaching thousands over this time. We help young people to discover, develop and achieve their best potential as they grow to become the area’s future adults, citizens and leaders, by engaging them in activities that challenge and help develop healthy minds and bodies. If you have additional questions or to find out how you can help, please contact Angela Brunner at 816-581-5622 or abrunner@mattierhodes.org.